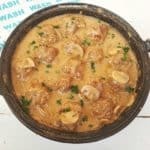 Everyone knows Stroganoff and most of us have our own (secret?) favorite recipes. 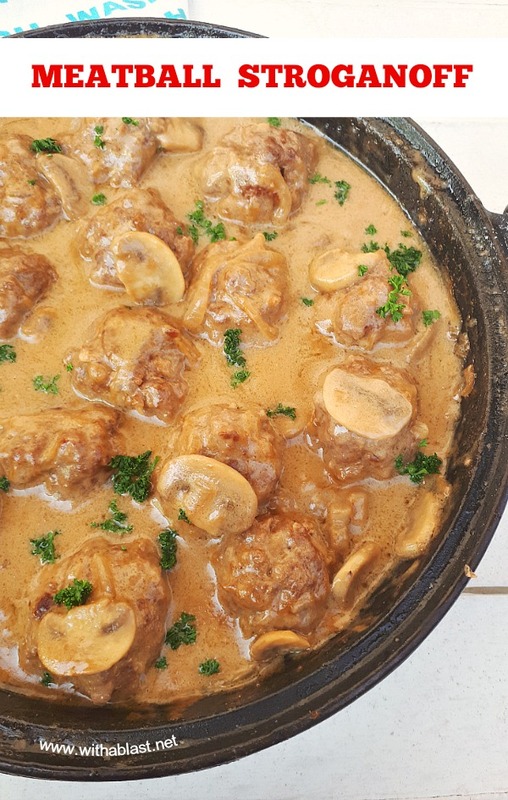 I did not want the usual this time and decided to make Meatball Stroganoff. Meatball Stroganoff is nothing new, Stroganoffs are actually made in many different ways and also using different meats. The very first Stroganoff I had, was a Beef Stroganoff, which we still enjoy on a regular basis. 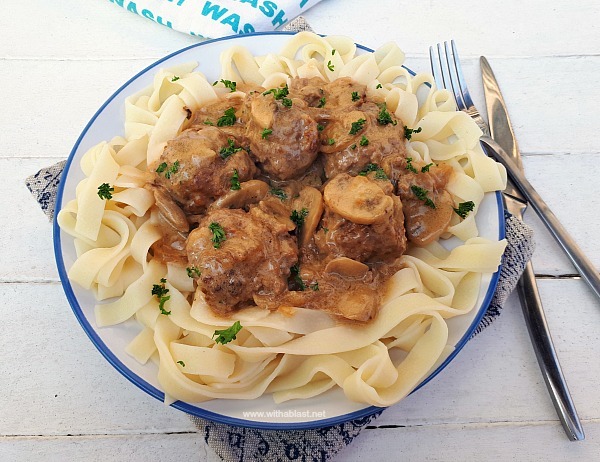 This Meatball version might not be anywhere close to an authentic Stroganoff but it works well enough for me. And fortunately I am not a licenced, degree and all chef who (some of them), feel they have to keep to the rules (as I was reminded once by an anonymous trained chef!). I am simply a mom who likes to cook good food for her family. Although the good is not always that true ! Delicious, yes, but always good, no way, we enjoy too many rich desserts. But, hey, we can eat healthy as well, not all our meals are rich or sweet. True to the aim of this blog, quick, easy, yet a filling dinner recipe, which uses standard ingredients, most of what I normally have in the refrigerator and the pantry. Spooned over pasta and dinner is ready to be served ! 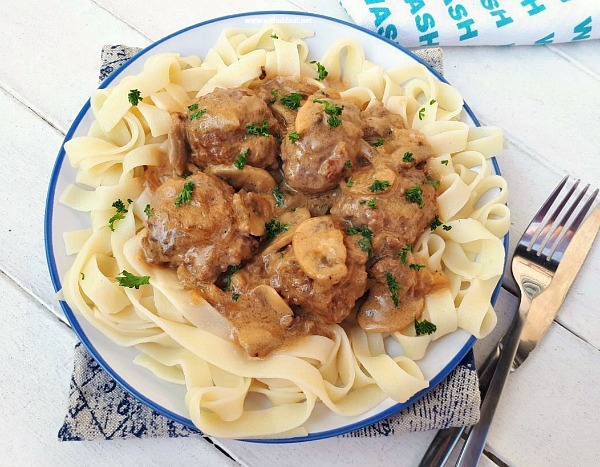 Delicious, hearty and rich Meatball Stroganoff is perfect comfort food ! Serve on a bed of pasta and enjoy ! What a great recipe. 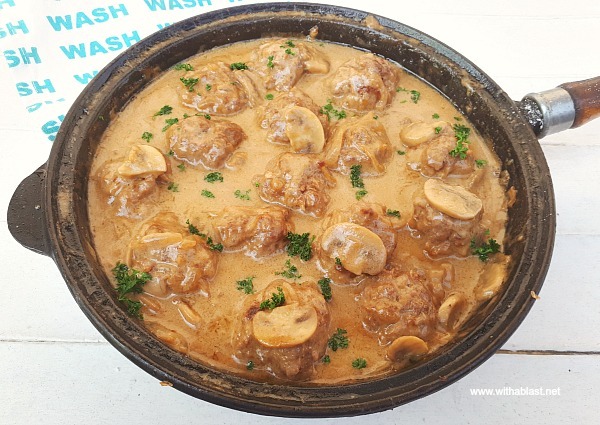 I was just telling hubby the other day that I meatballs would be great in beef stroganoff. Sounds yummy! 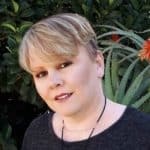 Thanks for posting on The Four Seasons Blog Hop! Sandra from Scrumptilicious 4 You! Could I use frozen meatballs?